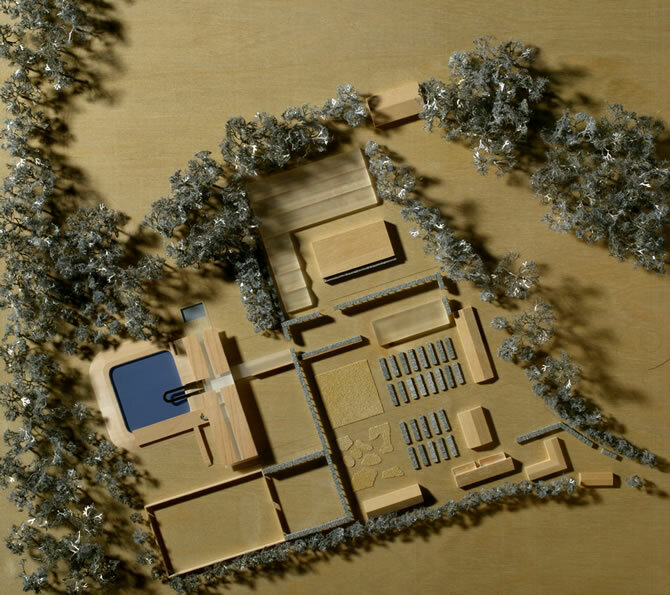 Nick Eldridge’s design for a new house in the Kent countryside in Staplehurst was granted Planning consent under “PPG7”: Secretary of State John Gummer’s wording of Planning Policy Guideline 7 from 1997. This stated that “An isolated new house in the countryside may also exceptionally be justified if it is clearly of the highest quality, is truly outstanding in terms of its architecture and landscape design, and would significantly enhance its immediate setting and wider surroundings”. But for this policy guideline, the tradition of building Country Houses on greenfield sites would have been lost. The planning policy has been further updated and it now currently referred to as Paragraph 55. The practice was commissioned by the new owner of Iden Croft Herb Nursery a long-established business occupying the former walled kitchen gardens of the Estate originally developed by the Hoare banking family. 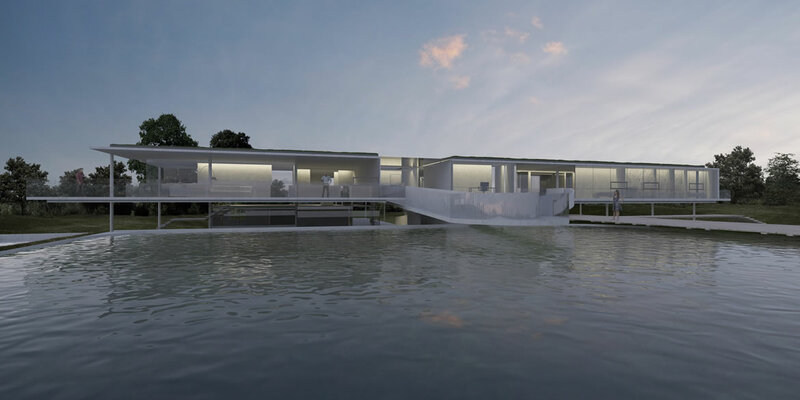 Nick Eldridge’s design comprises a 10,000 square foot house elevated on pilotis, raising the principal floor to the level of the existing reservoir. The sharp edged, crystalline design however incorporates a wide range of ecological features proving that a green building does not have to conform to the stereotype. The project was supported from the outset by the Maidstone Borough Council Planners as well as English Heritage.